March saw the start of our work with local schools to promote Cheltenham Education. 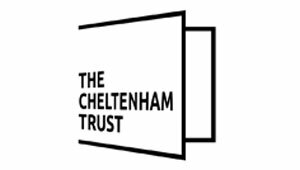 Cheltenham’s original town motto is “Salubritas et Eruditio” meaning “Health & Education”, derived from the town’s position as a popular health resort and education centre of excellence. We still retain an outstanding level of education in the town across our Public, Grammar and State, and it’s our mission to better represent this on the international stage. We’d also like to welcome Dean Close School and St Edwards as the first two to jump right in and join the panel. As part of our work with the ‘Uncover the Cotswolds’ Discover England Fund project run by Cotswolds Tourism, we hosted two ‘fam’ trips in the town representing all that we do here. We hosted representatives from Spain & Italy and Visit Britain. We hosted them with members including The Queen’s Hotel, No.131 The Prom and Memsahib Gin & Tea Bar, and also brought along members including Currys & Colonels and Compass Holidays. The group had a fantastic stay and hope to set up group tours bringing groups from 20-100 to the town several times each year. We hosted representatives from the Nordic Region, and included a tour of the town led by Anne Bartlett (Tour Guide). We also introduced them to Compass Holidays (Tour Operator) as they seek to establish bookable product in The Cotswolds. Reflecting back: we developed and released our 2018 successes report, highlighting just how much it is possible to cram into one year. From reaching over 2 million people via social media, adding 40,000 more users to the website and supporting 190 journalists to name but a few, you can read the full report here… We have also been issuing individual personalised results reports to members who joined in the first half of 2018. 103,875 page views, up 55% since last year when there were 66,891 page views . reaching 73,171 people via Instagram.